Scrapshack Anyone: What does being BRAVE mean to you? 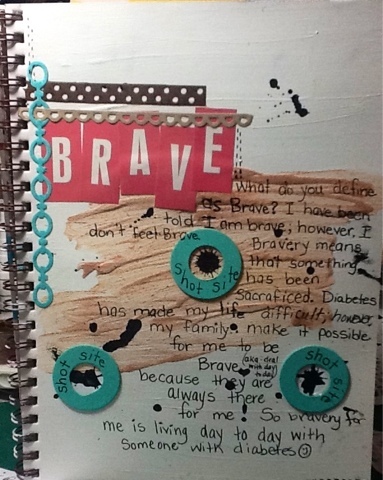 The next round of Art journaling came from the question what do you think bravery is? I took a very personal approach to this question. Being a diabetic is one thing but living with someone with diabetes is bravery! I used a gritty medium that I painted with my finger. I love getting this down for others to read. It was amazing because I just let the pen do the talking.